November Releases: Forms at the District Level & More! 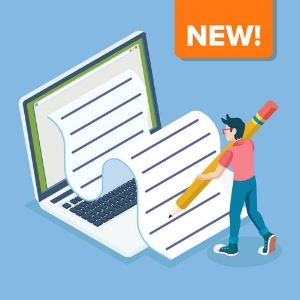 Now it’s easier than ever to streamline your forms system and further establish consistency across your schools with ParentSquare! Simply create form templates, select which schools you’d like to share them with, and voila! Schools can efficiently utilize and distribute these forms, without worrying about creating forms themselves. ParentSquare makes it easy for you to digitize your paper forms. Help your office go green, ease your staff’s workload and grant parents the ability to fill out forms from anywhere at anytime from the convenience of their phones. Think of all the freed office space, reduced costs and paper you’ll be saving! No longer do you have to worry about permission slips transforming into a lost, crumpled wad in a student’s backpack. Parents will no longer have to rush around the house last minute, frantically searching for that permission slip to sign before speeding off to school. If you are a ParentSquare user, you can learn more about how to utilize digitized permission slips here. Please note that this is a paid feature. Have questions or experiencing issues? We’ve made getting the support you need even more accessible! With our app’s brand new Help & Support section, you can troubleshoot and get in touch with our amazing customer success team from the ease of your phone! 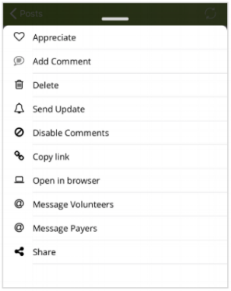 Our posting function offers an array of useful tools for Post authors and admins, such as sending updates, messaging payers and plenty other options listed in the picture below. We’ve now transferred those options over to our app, so you can retroactively engage with a post anytime, anywhere. Come across a helpful link while scrolling your phone and want to share it? Now you can immediately share links through your app! Parents can also read these links directly from the app. Learn more here. It’s finally here! You all have been requesting poll delivery statistics, and we are happy to deliver! While it is crucial to communicate with parents, the last thing you want to do is bombard them with messages that aren’t relevant to them, mentally branding messages from the school as “spam”. Have a message that’s only applicable for students? Now you can target your smart alerts for students only!